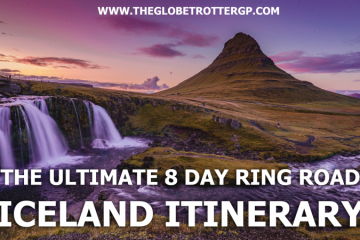 itinerary – determined to cram as many life-changing experiences into a 10 week trip as possible. 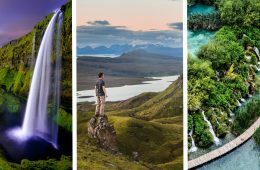 I started by listing all my South America must-sees and prioritising those I had lusted after for the longest, namely Machu Picchu and the Galapagos Islands. I knew I wanted a good mix of wildlife, landscapes and culture with a few cities thrown in for good measure. As a keen dancer, the opportunity to dance would be a real bonus so Argentina and Brazil made it onto my South America bucket list. 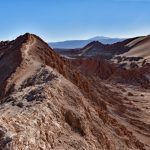 An important thing to consider when planning your ultimate South America itinerary is the climate. 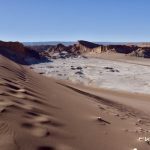 It varies wildly from country to country and you need to take this into account when planning your route through South America. For example, the Inca Trail is actually closed for part of the rainy season as it’s too slippy and dangerous. When it dry and sunny in Brazil, you’ll find it’s sub-zero up a mountain in the Andes. So for me, leaving in October, the route had to start west and work eastwards. This meant I could fit in some Andes mountain trekking before the rainy season hit and also meant that I got my fix of sunshine and caipirinhas on the beach in Rio before my flight home. Win-win. If you’ve travelled in South East Asia or Europe, you are probably used to getting about by train. However, there aren’t many trains in South America so you will be better off getting about by bus or plane. Whilst South America, in general, is not that cheap, getting about by plane is not as expensive as you may imagine as long as you don’t mind small rickety planes! 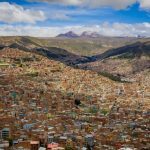 Booked well in advance, you can get short international flights such as Cuzco to La Paz for $50-70. The airports are pretty straightforward. 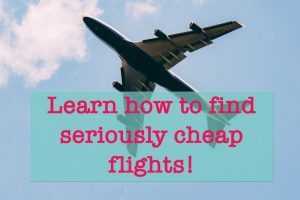 I booked my flights with trusty Skyscanner – personally, I find this to be the best tool to find the biggest variety of flights at the best prices. To save the hassle of finding your own way about, one option is to join a tour. 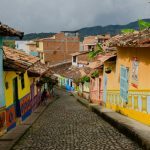 This is possibly the easiest way to pack a LOT of highlights into your South America itinerary in a short time period. You can focus on enjoying the highlights and not having to worry about the practicalities. Whilst I haven’t used Intrepid in South America, I have sampled their trips in Africa and South East Asia and again, I was very impressed. Their trips are actually very similar. 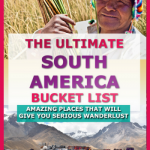 Check them out and see if any of their South America Itineraries takes your fancy! 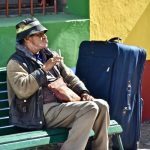 I spent a large chunk of my own Latin America itinerary travelling with Dragoman. These are participation, overlanding tours where you camp 50% of the time and stay in hotels and guesthouses the rest. These are slightly cheaper than G Adventures and Intrepid so great if you’re on a tight budget. However, my preference is still for G Adventures as you get more included activities, smaller groups and local guides. They also work with more local projects to give back to the countries where you travel. That said I would definitely do another overlanding tour as they are a lot of fun! Check out the trip I took HERE. 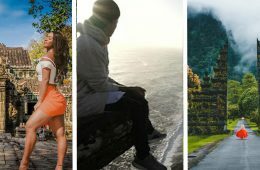 Perhaps the best of both worlds, this style of travel will allow you the freedom of doing it your own way with the convenience of jumping on a bus headed straight for the tourist attractions of hot spots in South America. The Bamba Experience is one of the most popular companies that organise hop on hop off trips. Sometimes it can be tricky finding the right bus and understanding timetables and prices when you don’t speak the local lingo. BusBud has provided a great solution for that – a website where you can search for local bus journeys in almost any country and in multiple currencies. 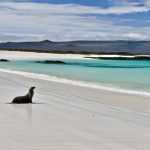 Without a doubt, the most expensive place to visit in South America is going to be The Galapagos Islands but boy is it worth it!! 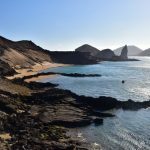 Being 1000Km off the mainland and with restricted numbers of visitors allowed on the islands at any given time, a trip to The Galapagos comes with a hefty price tag! Spending time in Brazil is also pretty pricey with Chile and Argentina not far behind. 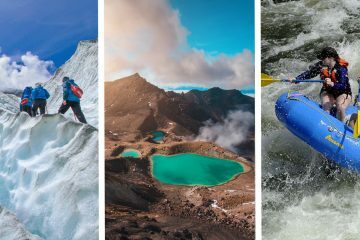 If you want to make your pennies stretch further, you’ll want to spend more time in Bolivia and Peru. Bolivia particularly is cheap as chips. I would say if you are being careful, you could survive on $20-25/day in Bolivia whereas Brazil will set you back $50-70 per day. 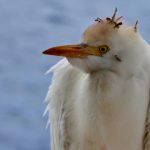 My 9-week trip set me back $14000 which may seem like a lot of money, however, this included a week’s cruise in The Galapagos (which accounted for a whopping $3000) and I took several budget tours in order to pack a lot into a limited amount of time. If I had the luxury of time, I would have travelled solo and I expect it would have been significantly cheaper! It really depends on what your priorities are! At that particular time, seeing as much as possible in a short time frame was mine. 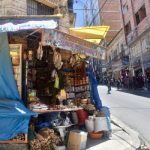 For more practical tips for your trip to South America, check out my article: 20 Useful Tips for Travel in South America. Whatever you do, don’t forget to invest in a decent camera before your trip to South America! There are SO many great photo opportunities! I use a Sony A7iii yet but it’s pretty pricey so if you’re newer to photography I recommend this one or this one. 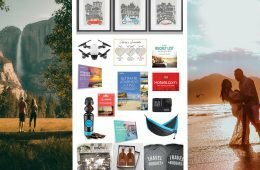 READ Best Travel Gift Ideas For Her 2019 - Affordable Gifts She Will Love. 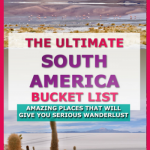 Ok so let’s get onto the good bit… What should be on your South America Bucket list?! 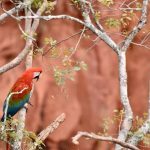 Let’s get planning your South America Itinerary! 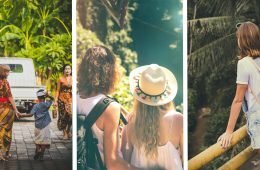 You could easily spend longer but a week will allow you to tick off most of the big wildlife and scenic attractions and will give you a good flavour of the islands. 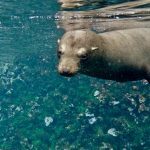 If you cut your trip short, there’s a chance you’ll miss out on the best bits like getting the opportunity to snorkel with sea lions! 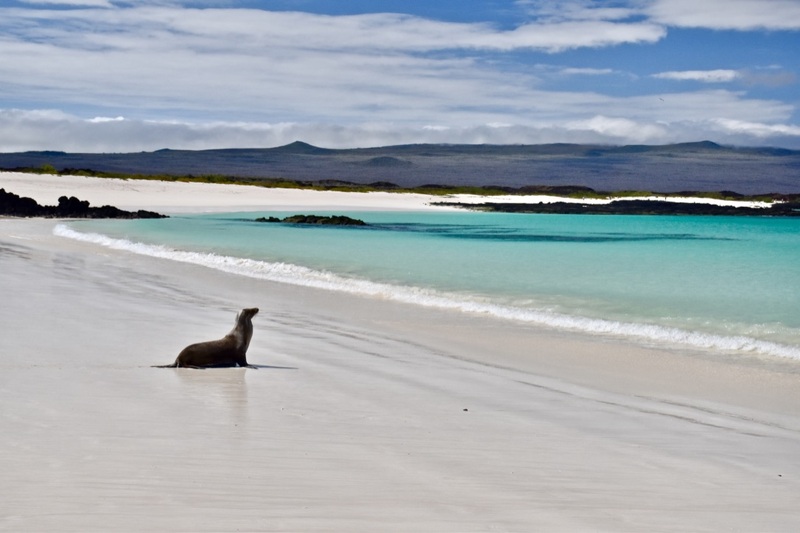 Most Galapagos trips are boat based so your board and food will all be included. 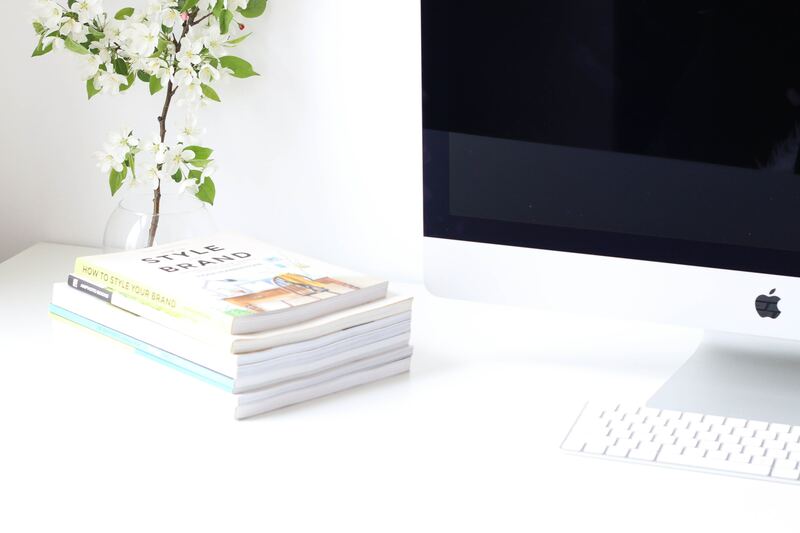 So it might be pricey but at least you know exactly how much money you will need. You will undoubtedly save money by staying on dry land and arranging day trips but be warned, you’ll likely have to deal with bigger crowds and will spend a lot of time on the boats getting to the islands. There may also be certain highlights which you’ll miss without taking a boat. The cruise ships and stay-onboard boats will sale overnight to maximise your time exploring the islands and get you there before the other tourists arrive which was a huge perk. 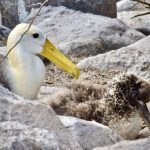 Since I have been desperate to visit the Galapagos for over 10 years, I really went to town on my research to get the best trip covering the most highlights but at the best price. I settled on a Gadventures boat called The Monserrat – I highly recommend it. I didn’t find any better prices and the trip was fantastic from start to finish! (The food by-the-way was to die for!) Check out the Galapagos tour I took. To see other Galapagos options for all budgets, click here. 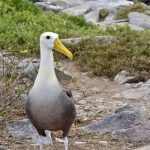 For a Galapagos packing list, click here. 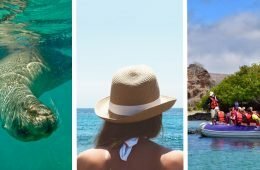 Top Tip: If you have plenty of time, you can save money by flying to the Galapagos independently and arranging a last-minute boat when you get there. The risk is there will be none available but if you have plenty of time OR go in the shoulder seasons, you are likely to get lucky! 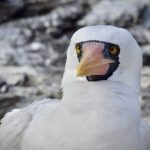 Visit Isla Lobos for some close encounters with frigate birds and blue-footed boobies. There are SO many sea lions here. 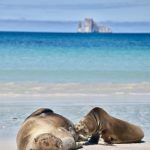 A great place to start your Galapagos adventure! Another eastern highlight is Cerro Brujo – possibly the prettiest beach I’ve ever had the privilege to visit. Unspoilt bright white sand and azure ocean in stark contrast with the black volcanic rock dotted with the occasional marine iguana or sea lion. I think this was one of my biggest ‘Wow’ moments in South America! See a sample eastern island itinerary here. The scenery in the central islands is more varied and rugged. 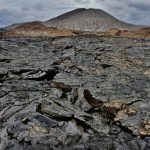 See the black lava formations at Sullivan Bay on Santiago and whilst you’re there, snorkel off the beach – this is where I spotted my first shark! 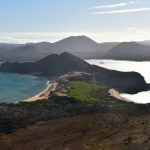 Take a hike to the viewpoint on the volcanic islet Bartolome island. The views are beautiful but beware the wind! 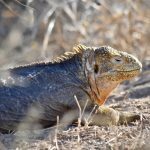 If you want to catch sight of the elusive land iguana (much harder to spot than marine iguanas,) head to Cerro Dragon. We were lucky to see two on our nature walk here! For giant tortoises, head over to Puerto Ayora on Santa Cruz. 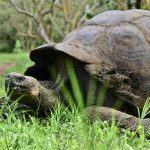 Here you will find the Charles Darwin Conservation Centre, a great place to start and learn about the tortoises’ history on the island. 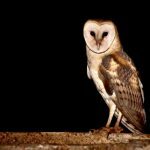 Then head into the hinterlands to spot some in the wild! If you are lucky you might spot a pod of wild orcas as we did. They may even put on a show for you like we were lucky to witness. That said, you are more likely to see whales on the western islands which I didn’t get chance to visit. Check out a sample central islands itinerary here. 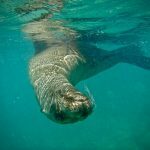 For me, the best snorkel trip I took in The Galapagos was off the boat, not far from Espanola island. The most colourful coral I’ve ever seen but the best part was swimming with sea lions. There were so many of them and all fairly young which meant they were super playful. I’m going to go out on a limb here and say this was the absolute TOP moment of my South America trip! Between Cerro Brujo and here, The Galapagos Islands were scoring pretty high marks! Another highlight of the Southern Islands was Floreana. This was absolute wildlife paradise. Here you can see the rarely spotted Galapagos Albatross and you will see so many marine iguanas – they lie on top of each other to keep warm so there will actually be piles of them! Hundreds of iguanas basking in the sun, careful not to step on them! Don’t worry, they are a lot more placid than they look! 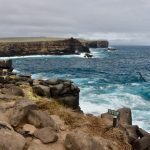 Check out a sample southern islands itinerary here. $20-40. You can do it really cheap but this budget will allow you a decent hotel room and the occasional luxury. 2-4 weeks. 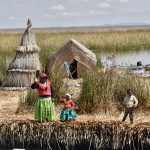 You can cover the main highlights (Inca Trail, Lake Titicaca, Bolivian Altiplano) in a fortnight but you may want to allow yourself longer to travel at a more relaxed pace. Since accommodation is cheap as chips here, I’d recommend splashing out on budget hotels and guesthouses. Save the hostels for the more pricey countries! Top Tip: If you plan to do the Inca Trail, you will need to be super organised! 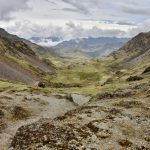 Inca Trail permits need to be bought well in advance – often as early as 6 months! On writing this article in April, the next available permits are for October! If you don’t get yours in time, there are plenty of great alternative treks so don’t panic! And another Top Tip (I’m good to you like that…) Pack lot’s of layers! The temperature can vary from glorious 25 degrees plus to minus figures within just a matter of hours. 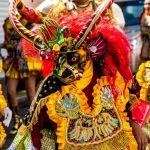 This can make it tricky to pack for South America but fear not, I’ve got you covered with my South America Packing Guide! Beware it is at 3400 metres altitude so take your time climbing the stairs here! 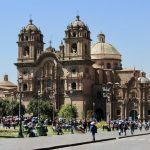 There are oodles of beautiful churches and colourful markets to explore but you can also use Cuzco as a great base for getting out into the surrounding mountains and visiting a few Inca sites. Check out these day trips from Cuzco – everything from day hikes to pisco sours tasting! Okay, you can’t really miss out this iconic site from your South America Itinerary, let’s face it! The question is not really IF you should visit it, but more HOW. You could catch a scenic train ride or you could (and should in my humble opinion) take a trek to get there. Why you ask?! Well because the scenery is stunning and you won’t really get the full experience by seeing it from a train window! So providing you are in a reasonable state of fitness, book yourself onto one of the several treks in the area. You won’t regret it! The Inca Trail is obviously the most well known. Book well ahead and prepare to be one of many of the trail. 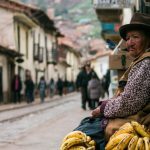 The scenery is diverse, beautiful and leads you straight to Machu Picchu plus you can say you did the actual Inca Trail which totally gives you street cred! 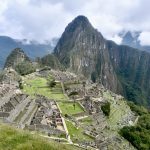 Check out options for the Inca Trail here. 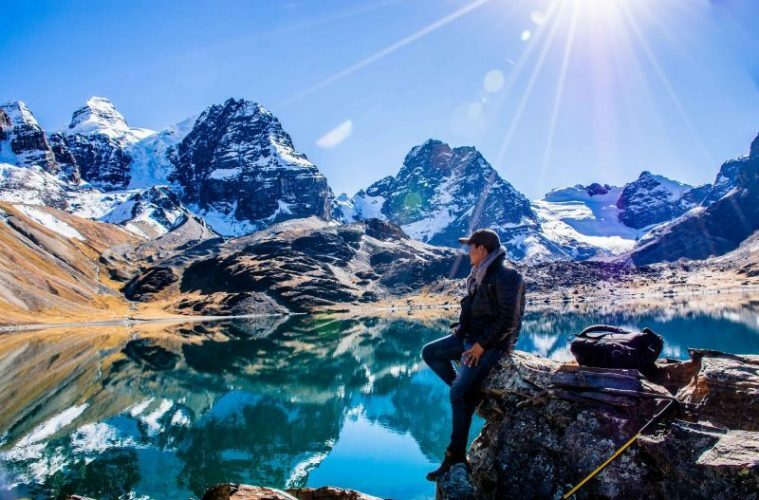 Another great alternative is the Lares Trek. The Lares is much quieter, it’ll be just you, your team and the llamas. You may see an occasional farmer but otherwise, you’ll have the trail pretty much to yourself. It goes to a higher altitude 4800 metres so you can brag about that to your Inca trail friends! The scenery is absolutely mind-blowing. I asked my guide which trail he preferred, his answer? The Lares Trek every time! 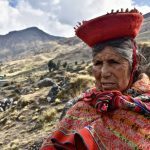 Read about my Lares experience here. Or see the G Adventures trip that I took here. 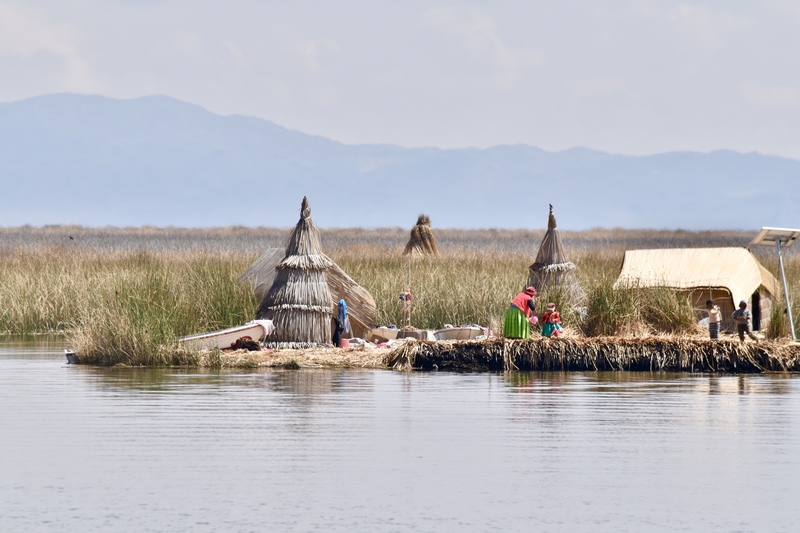 Situated at 3800 metres altitude, Lake Titicaca is really unique and not just because it is the worlds highest lake. What makes it truly unique are the local’s who live by it and even on it! You can take a tour of the local reed villages – yes made ENTIRELY of reed. The local inhabitants make a living by fishing and trading the fish at local markets. You can easily arrange a homestay at one of the farming villages on the lakeside. 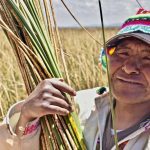 See inside a traditional Peruvian farm, eat with the family and experience traditional cuisine that you won’t get in restaurants and then help out with the farm work the next day. Don’t be put off by the fact that many won’t speak English. We muddled by using a mixture of English words the children learnt in school, my VERY poor Spanish, lots of miming and showing photos on our phones of our homes, pets and families! 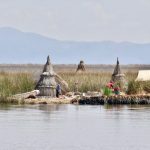 I visited Lake Titicaca with G Adventures who arranged my homestay. See the tour here. 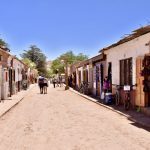 , La Paz is quite an experience especially if you take a taxi from the airport… Whilst you’re here, visit the Witches markets – dried llama fetus, anyone?! Also, take a cable car trip and get amazing views of this huge city! 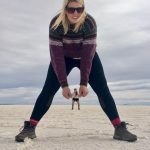 Visit the worlds largest salt plane – 11000 sq Km of bright white desert created when a prehistoric lake dried up leaving these vast salt planes dotted with little cacti islands! Enjoy taking some great perspective photos here. If you visit in the rainy season, you may get beautiful reflection photos. 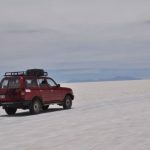 Check out tours to Salar De Uyuni here. The scenery here will have you speechless. 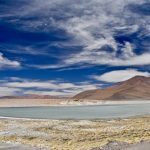 There’s not a lot to ‘do’ here per se but I personally was entranced by the scenery that the long drive from Salar de Uyuni was actually one of my trip highlights. 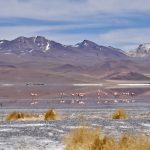 See the spurting bubbling geysers, find aqua and red lakes filled with flamingos and see desert which stretches for miles. For more inspiration, see my photos to inspire your trip to Bolivia. 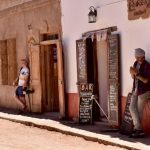 I travelled in Bolivia with Dragoman, see the exact trip here. are much more expensive than Bolivia but slightly cheaper than Brazil so expect to pay a bit more in some restaurants and for tours. This route will take 2-3 weeks to cover properly. As prices are beginning to rise, this may be the time to consider staying in hostels. Most hostels have private rooms if you like a bit of privacy on a budget. 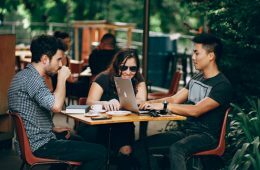 Hostels are also a great way to meet people! 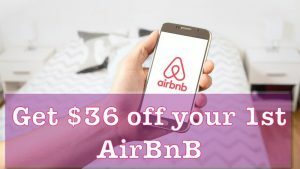 I use booking.com to find hostels and hotels and usually find they have a great selection of accommodations and you can easily search for your specification – a swimming pool and a hot tub puh-lease! Ah, I LOVED this place. 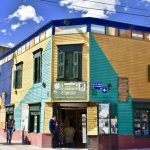 From the cute little shops lining the streets to the drinking holes that look like they’ve been taken straight from a western movie, San Pedro certainly has character. 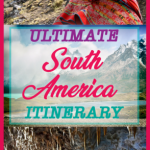 You definitely shouldn’t miss this one off your South America Itinerary! I also didn’t have a single bad meal here – the food was Ah-mazing! 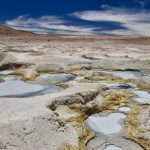 It’s a great place to arrange trips to Moon Valley and into Bolivia for the Altiplano. There are so many outdoorsy activities to do here, you won’t be short of things to do! 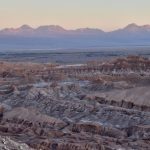 The scenery at Moon Valley, in particular, is just stunning! See my San Pedro guide for more info. There are so many things to do in this area from horse riding to star gazing. Check out some options HERE. 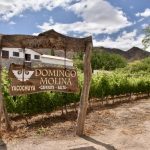 Head to Argentina next and so some wine tasting in the beautiful countryside at El Cafayate. Then go out for a juicy Argentinian steak washed down with some delicious merlot! 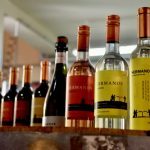 There are wineries both in the countryside and in town that you can visit. Some trips need to be pre-arranged but often you can just turn up and join the next tour or tasting session. 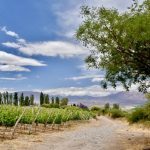 Experience the real rural Argentina on an estancia stay. 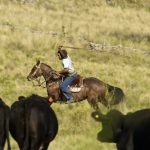 Several estancias (or cattle ranches) offer accommodation and activities such as horse riding and wildlife watching. Learn to swing a lasso like a real cowgirl or indulge in an Argentinian BBQ. 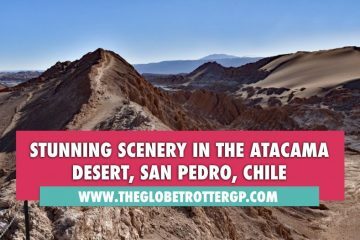 I stayed at Estancia Los Potreros and had an absolute ball! In addition to the activities above, we also had more wine tasting and a music session with some local cowboys. Read about it here. Buenos Aires is a brilliant city! Colourful and diverse, traditional yet cosmopolitan, this city has a lot to offer travellers. 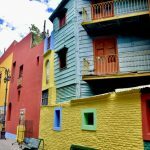 This super colourful neighbourhood is popular with tourists so it can get busy – go early in the morning to escape the crowds. Visit markets, enjoy street tango performances and enjoy the colourful buildings and street art. But make sure you go home before dark as it can be a little unsafe here at night time. 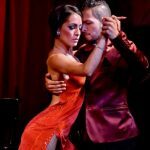 There is no better place to learn to Tango than Buenos Aires! Watch a street show, attend a formal show or take a lesson. But if you want to see the real tango, find a milonga. These are like afternoon tea dances where everyone will be dancing for fun – not for the tourists. 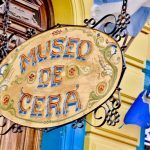 Check out day trips in and around Buenos Aires here, from stadium tours to tango shows. $50-100 Brazil is pretty pricey so unless you are happy to rough it, expect to spend a bit of money here! 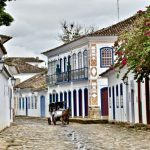 2-3 weeks should be enough to cover most of the highlights in South Brazil but of course, there are plenty more places to explore in Brazil if you have time. To keep costs low, I’d recommend staying in hostels or even camping. I stayed at a few campsites in Brazil which were great and the weather is nice and warm. , it’s worth visiting from both sides. From The Argentina side, you can get close to the falls to appreciate their power. From the Brazil side, there are some great opportunities to see it from afar and appreciate the overall beauty! I’ve written a detailed guide to Igauzu falls, see it here. 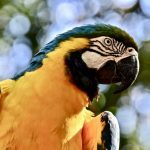 Also on the Brazil side, there is a great tropical bird park Parque das Aves where you can get up close to some beautiful birds including the colourful macaws and toucans! 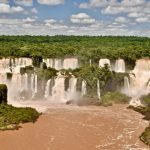 Book your tickets to Iguazu falls HERE. Did you know Bonito is the eco-tourism capital of Brazil? And rightly so! There are so many amazing places to see in this area! One of the best places worldwide to try freshwater snorkelling with an average visibility of 50 metres. You will drift for 90 minutes along with the current enjoying the underwater garden seeing colourful fish and if you’re lucky a caiman or anaconda! Read more about it in my Bonito Guide. Book your snorkelling tickets here. It’s a popular activity so I’d definitely book ahead of time! 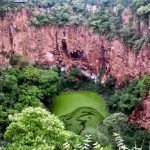 This limestone sinkhole is a meeting place for hundreds of brightly coloured and NOISY macaws! Visit this beautiful bright blue lake within a cave. The light beaming into the cave bounces off the limestone giving its incredible blue colour. Sadly there’s no swimming here so you’ll have to head to an estancia for some waterfall swimming to cool off afterwards! 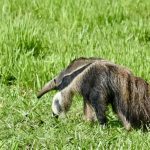 If you are a big fan of wildlife, head over to The South Pantanal, Brazilian wetlands where you stand a reasonable chance of seeing one of the big cats, possibly even a jaguar! 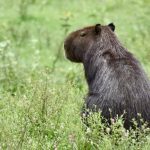 You will undoubtedly see plenty of caiman crocs and birdlife and there are plenty of chances to see capybara, anteaters and even cute little river otters which apparently are not so cute after all! Did you know river otters are territorial so they are actually more dangerous than the caimans or anacondas if you were to fall in the river! Explore by 4WD safari vehicle, on foot, by boat or on horseback. 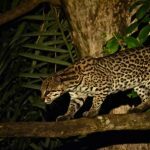 I highly recommend a night safari for your best chance of seeing a jaguar! 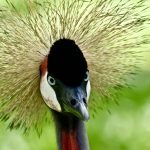 Check out tours to The Pantanal here. 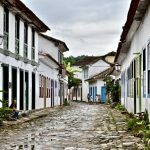 Paraty is a really lovely well preserved Portuguese colonial coastal town with cobbled streets and only horse and cart for transport. Spend time exploring the shops and cafe and take a day trip in one of the colourful wooden boats stopping at beaches and islands. 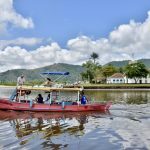 Check out day trips from Paraty here, from jungle treks to boat trips to beautiful beaches and islands. Rio de Janeiro is one of the fastest paced, diverse, colourful, lively cities you could visit. 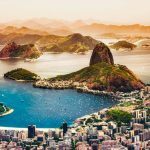 There are so many iconic viewpoints you will want to visit such as Sugar Loaf Mountain and The Christ Redeemer statue – two of the most popular sights in Brazil!. 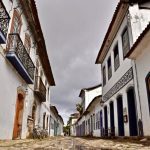 There are so many things to do in Rio but I suggest you start by visiting the colourful Escadaria Selarón steps and then have a caipirinha on Copacabana or Ipanema beach. 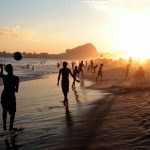 Check out the huge variety of day trips from Rio here. 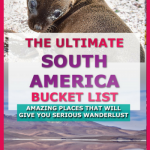 There are still so many places on my South America bucket list that I need to go back and tick off at some point! 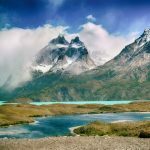 I would love to see more of Chile and I didn’t even step foot in Colombia and I’ve heard so many great things about it. 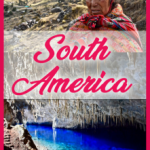 Here are a few places that will be on my next South America itinerary! I seem drawn to any colourful town – Cinque de Terre in Italy, by the way, is awesome! 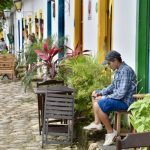 Guatape in Colombia is possibly the most colourful of them all. 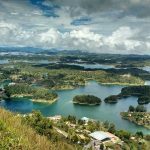 Not only that but it overlooks Penol-Guatape a beautiful man-made reservoir and a great place for water sports. Landscapes don’t get more dramatic than in Patagonia – think snow-capped mountains and bright blue glacial lakes. This is a challenging 5-day trek but surely worth the effort for views like this?! 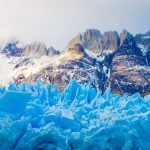 Click here for advice if you are planning to travel to Patagonia. 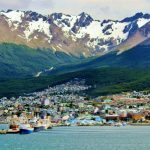 In the South of Argentina, is Ushuaia, the starting point for many cruises to the Antarctic. But you don’t have to go that far to see penguins! 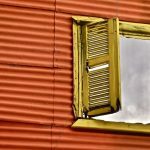 For more itineraries on the places I’ve not been able to cover yet, you should head over to The Broke Backpackers site. He’s got some great information too! Intrepid Tours in South America another great tour company I’ve sued many times. 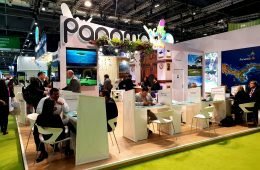 Bamba Experience – a hop on hop off trip. A cheaper option for the budget conscious. Skyscanner – a great tool for booking your flights to and from and within South America. 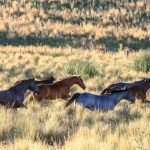 Estancia Los Potreros – Argentinian Ranch horseriding holiday. 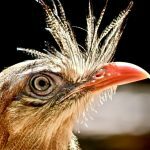 Psssst, I’d love it if you can share this article and spread the word how amazing South America is! Please use the share buttons below or pin to Pinterest for later! Thanks a million! Previous ArticleSaray Restaurant, the Best Turkish Food in Cardiff? Wow I’ve been literally DYING to go to all these places in South America and you’ve just planned my trip for me. Now I have no excuse not to go, THANK YOU, pinning this for later! Glad you found it useful Constance! Let me know if you need any more tips! I love this post! So thorough and so helpful!! Sourh Amerixa is huge and it can be so tricky to navigate. But saving this for when I finally make it back. Thanks! Glad you found it helpful and I hope you get there soon! 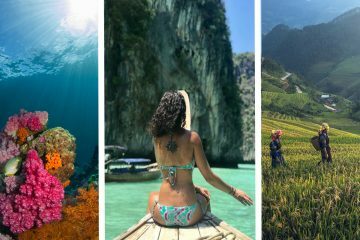 I’m planning a RTW trip and this guide is exactly what I’ve been looking for. Thanks for taking to time to write such an in-depth article! I’m so glad you thought it was useful! As a lazy researcher, I love having everything in one place! 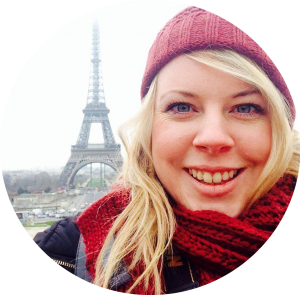 Have an amazing RTW trip – I’m SO envious!! Where’s first?! Thanks for the great info! 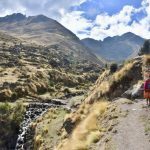 We’re hiking the Inca trail in September! Ah have an AMAZING time!! I want to go back!! Wow! What a guide! I’ll have to share it with my friend who’s currently living in BA and using that as a base to travel. I hope she’ll find it useful too! 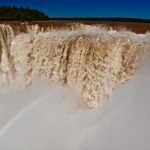 Igauzu falls is reachable in a weekend trip from BA! Great post Leanne. I would love to visit South America someday. I’ll definitely give some thought to the changing climates when planning my visit. It’s incredible how different the climate from 1 country to the next! I really enjoyed reading through this! You did a fantastic job! I will definitely pin this to my Pinterest board and share! Thanks Elizabeth! Kind words 😊 I’m glad you enjoyed it! What an incredibly detailed post. This is AMAZING. Saving this everywhere for one day when I go! Thanks so much! I’m glad it’ll be useful for you! 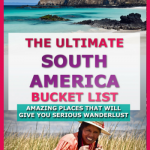 You will LOVE South America! It’s so diverse! Absolutely love your post. South America is my absolute favorite continent and your pictures make me miss it so much right now. Can’t wait to go back and so all the places I haven’t ssen yet. Glad you enjoyed it! I want to go back now to see more of chile and Patagonia! 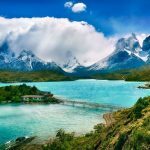 What a fantastic itinerary to South America! I’ve never beenbefore but it’s on my bucketlist with the Galapogos being at the top! They were at the top of mine too and so worth the price tag!! Oh wow thank you! That’s such a lovely compliment! 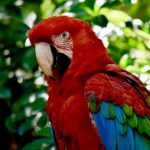 Central America is awesome too – I need to visit there more often! Wow! This is thorough, and great! I haven’t done South America yet and it’s on my list to do in the next two years. Totally saving this as a reference for planning. Thanks amy! I bet you’ll have an awesome trip. South America is such an amazing place! Wow, this is incredible! All that in 10 weeks, I feel you could write a book from so many experiences! 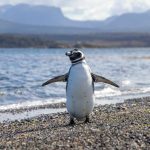 I am myself toying with the idea of going to Argentina later this year, to see the spring (and penguins! ), I will bookmark this post for future use! I’d love to write a book one day – it’s on my bucket list. But I was thinking more of a novel! Argentina will be amazing. I definitely need to go head south and see those penguins soon! Wow that is detailed! 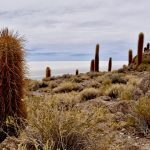 what a great overview of travel through south america. 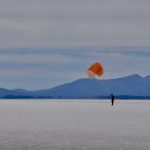 I love the salt flat pics, some corkers! 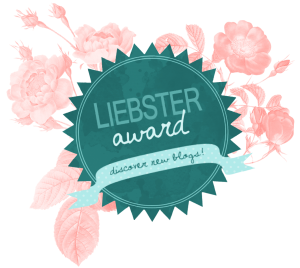 I’m SO glad I’ve found this blog post! South America is the last continent I haven’t been to and I’m in the planning stage of a big trip there. This covers pretty much everything I was hoping for, even the Galapagos Islands, which looks absolutely incredible so thank you so much it all looks insane! You will have such an amazing time! I just made a video about the Galapagos – it’s on my twitter page @globetrottergp if you want more inspiration! (and videos of tiny tiny baby sea lions…) I hope you’ll have the most amazing trip!